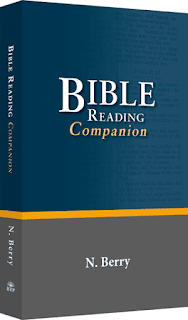 The Bible Reading Companion provides the equivalent of a godly father sitting next to you while you read through the Scriptures. Like any wonderful teacher, he won't simply give you all the answers but lead you to them while filling in some of the harder passages with direct instruction. 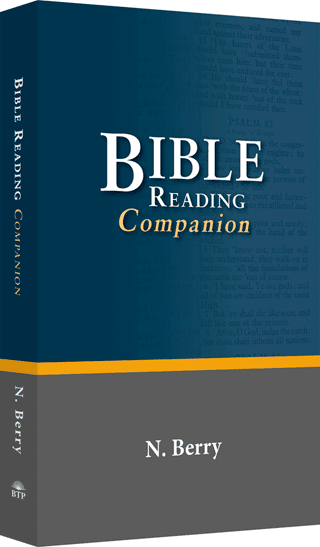 The Bible Reading Companion isn't a verse-by-verse commentary, even though it provides abbreviated notes on more than 80% of the chapters in the Word of God. Instead it is a personal trainer in the habit of regularly reading, meditating on and applying God's wonderful Word. You'll find help with moral applications of each passage, constant encouragement in the perfection of God's Word, and guidance in seeing for yourself the treasures in the chapter. Also, it includes very thoughtful cross references and how to apply them, types and symbols, dispensations and hard verses explained. A simple help for systematic reading through the Scriptures. Formerly called "Chapter-a-Day" and widely used, these beloved daily reading outlines are now available in a single handy volume. Reading level: 13 years to Adult.